We take a look at two stunning waterside developments from Coastal Spaces. The coast is an infinite source of inspiration, for artists, writers and photographers. There is something endlessly fascinating and alluring about the junction where land meets ocean that brings out some of the finest work in people. But often overlooked is the role it plays in architectural design. A trip around Cornwall’s stunning coastline will not only reveal galleries full of beautiful seascapes; indeed, if you look around you, you’ll find masterpieces of another kind perched on the clifftops. Creating new buildings is a responsibility, especially when considering that they are intended to last as permanent additions to the landscape. Not only must they represent the age in which they are built, they must stand the test of time, remaining sympathetic to their surroundings as fads come and go. When a location – like Cornwall – is so naturally beautiful, it ups the stakes, demanding a response that complements the landscape it inhabits. It is these thoughts that make Coastal Spaces such an exciting prospect. This Cornish design company, based out of the delightfully named Lighthouse Cottage in Wadebridge, is led by Sean Hodgson. Simply put, Sean and his team get coastal living instinctively and use their collective experience and creativity to design stunning spaces that capitalise on the views our coast is blessed with, while make the living spaces truly luxurious and inviting. While Coastal Spaces’ designs are respectful of their environment, incorporating local natural materials and gently nodding to the past, they are by no means shrinking violets. Instead, you’ll find bold, daring pieces of architecture, with contemporary clean lines, at the very forefront of modern design. The team only ever work on a small number of projects at a time, to ensure they devote the necessary attention and focus to each one. 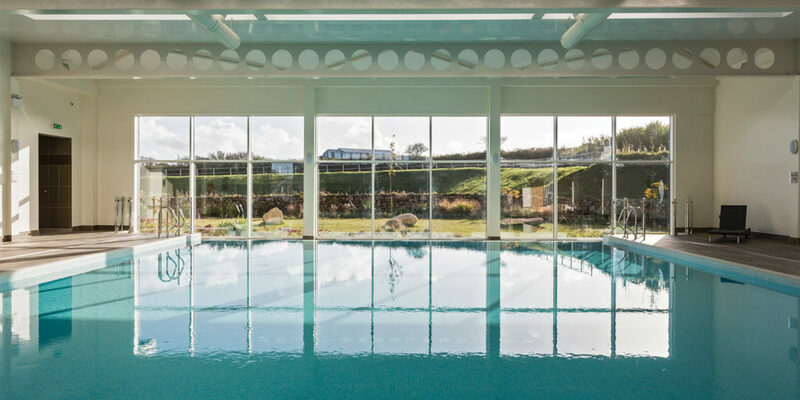 To see an example of Coastal Spaces’ ingenuity, you need only look at current project Polurrian Bay Villas in the grounds of the popular luxury hotel in the cliffs above Mullion on the Lizard peninsula. These bright and spacious open-plan villas offer the very best in coastal living. With only six in the development, this is your chance to own a stunning home in an extremely exclusive setting. Invoking the classic Edwardian seaside villas found across the coast, each villa is fronted with a large balcony, perfect for gazing out upon the Atlantic and the Celtic Sea. 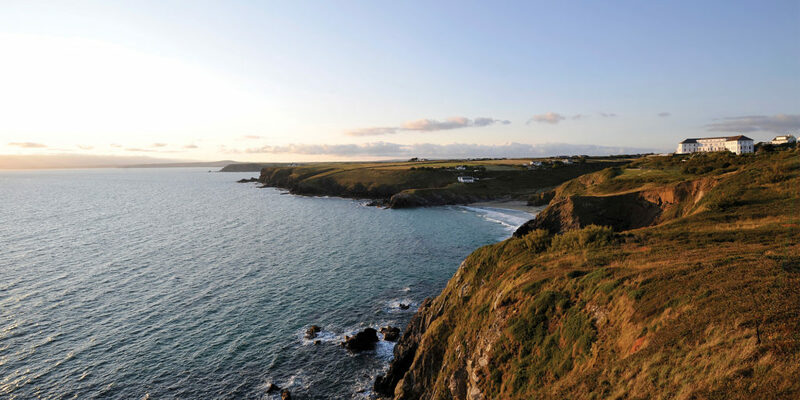 The South West Coast Path is quite literally on your doorstep, offering miles upon miles of stunning scenery to explore, before returning to your luxury space to enjoy cocktails as the sun melts into the horizon. Another wonderful advantage of the development is that each villa takes full advantage of the facilities at the Polurrian Bay Hotel, including both indoor and outdoor swimming pools, a sumptuous spa, and an Ofsted-registered crèche. What’s more you can participate in the leaseback scheme, meaning you can earn money from your property when you are not using it yourself – making it an attractive proposition financially too. With three of the six villas already reserved, you’ll want to get in quick if you want to secure a piece of the dream. 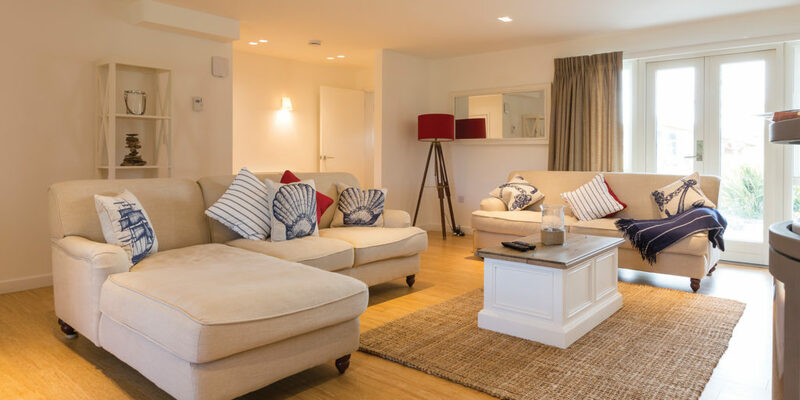 Another deluxe development from Coastal Spaces is Una St Ives, just inland from Carbis Bay, regularly cited as one of the most beautiful bays in the world. Indeed, you’d be hard pressed to find a more wonderful location in which to relax and unwind. With an array of beaches on your doorstep, it’s within easy reach of the hustle and bustle of St Ives, with its independent boutiques, bars, bistros and galleries, including the recently reopened Tate St Ives overlooking Porthmeor beach. Una St Ives comprises of a cluster of chic and contemporary eco houses, clad in wood and topped with sedan roofs, with warm rusty hues that change with the season. 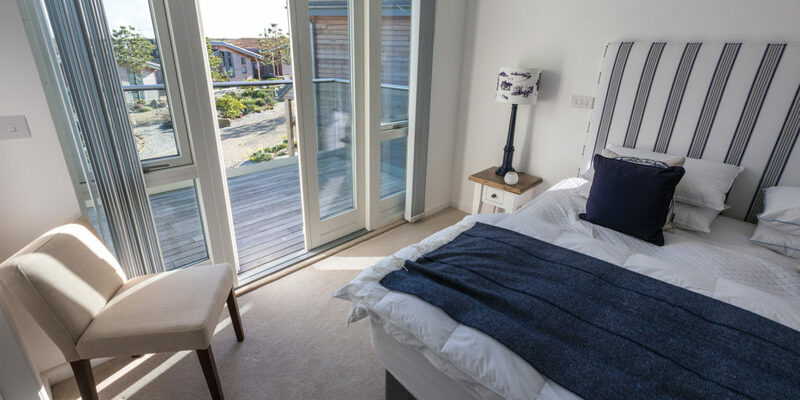 Each home is wonderfully bright and spacious, and features a balcony to make the most of indoor-outdoor living, savouring the quality of light that St Ives is famed for. The complex also boasts its own state-of-the-art gym, indoor swimming pool, steam room, Jacuzzi, and a sumptuous spa, so you can indulge in some much needed recuperation when not out enjoying all the area has to offer. To learn more about either of these developments, or to discuss a coastal dream of your own, contact Sean and the team from Coastal Spaces now. "... you’ll find bold, daring pieces of architecture, with contemporary clean lines, at the very forefront of modern design."